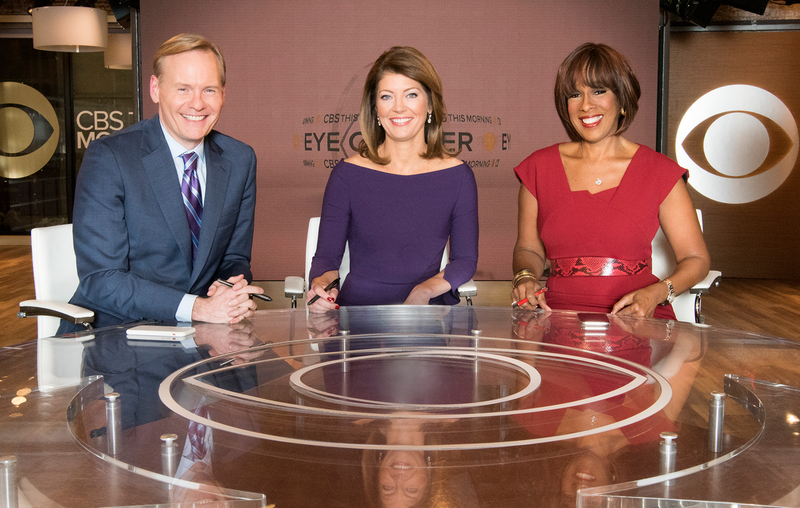 One year in, Dickerson, who previously hosted the CBS Sunday public affairs program “Face the Nation” and has found success as an anchor, journalist and White House correspondent, is still enjoying the role and the “never a dull moment” atmosphere that comes with it. The alumnus, who graduated in 1991 with an English degree, is preparing a few return trips to Charlottesville, speaking with his Slate “Political Gabfest” podcast co-hosts during the TomTom Festival on April 12, and hosting the Presidential Ideas Festival at UVA on May 21 through 23, presented by UVA’s Miller Center. We caught up with Dickerson to talk about the festival, some of his most fascinating interviews and the political news cycle for 2019, including an increasingly crowded presidential election field. Q. Who have been some of your most interesting guests or interviews on “CBS This Morning”? A. There have been a wide variety of interviews, but one of the most fulfilling was a conversation I had with Dave Matthews in Charlottesville, when he and the band donated $5 million to help renovate and build new low-cost housing in Charlottesville. I talked to Dave and to some of the residents in the housing developments, and we had some great conversations. I got to have some in-depth conversations during the 2018 midterm campaigns with people like [U.S. Sens.] Bob Corker and John Kennedy, and [former Speaker of the House] Paul Ryan. I also got to spend a day with songwriting legend John Prine. Q. Your co-host Gayle King recently had a pretty contentious interview with R. Kelly. [The musician berated King when discussing the sexual abuse allegations he is facing.] Did that surprise you and have you ever had a similar experience? A. It did not really surprise me. He’s obviously been accused of some pretty extraordinary stuff, and I can imagine he would react strongly. It was certainly an amazing moment, and Gayle showed why she is so good at what she does. As far as similar moments, I’ve had a few contentious interviews. Probably the most notable interview I have ever had cut short was with President Trump, when he cut his interview short [in the White House in 2017]. Q. It’s already been a busy year for political news. What trends do you have your eye on for 2019? A. There will of course be ongoing coverage of the Trump presidency, but there will also be a lot of attention on the many people vying to be the Democratic nominee. That party is having a debate about what it believes, what it stands for and what its nominee should stand for, and that will be a fascinating story. Q. You are hosting The Presidential Ideas Festival in May. What are you looking forward to? A. I’m always excited to come back to the University and I’m really looking forward to this. Presidential campaigns get everyone thinking about the presidency, but often they are focused more on the competition than the institution itself. One thing that has caused heartburn and heartbreak for the American public is the disconnect between expectations set during the campaign and what the job actually is, what the president actually does. It’s great to have this chance to focus on the actual job everyone is jockeying to get, right when everyone is really beginning to pay attention to the campaign. The event is taking a serious look at what it actually means to be president, and what the job entails, which can be so easily misunderstood during campaign season. Q. You are also bringing your “Political Gabfest” podcast to Charlottesville soon. What have you enjoyed most about that show? A. It’s a great chance to get together with my co-hosts, who I am very fond of after doing the show together for about 14 years, and to spend time thinking about the issues and the country with them. We have listeners who have grown really fond of the show and will travel for miles to see us during these live events, which is truly fantastic. It’s wonderful to have that kind of connection with the community.